What Do You Get When You Mix a Little Dreaming with Great People? 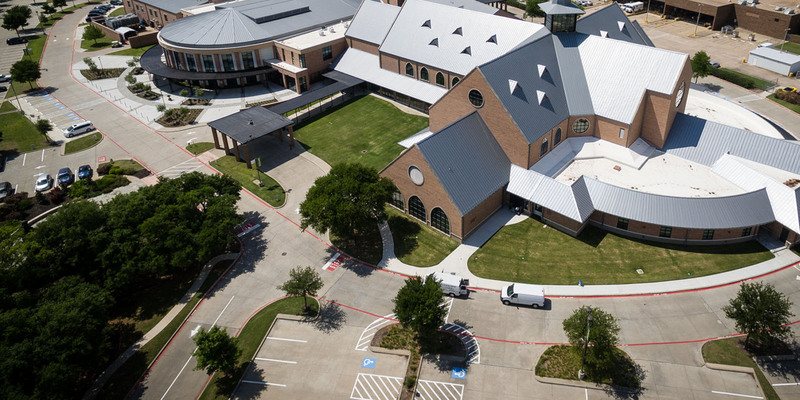 Jeff Thomas, Executive Director of the Richardson Family YMCA & member of the ACCESS contemporary worship community, helped describe the importance & impact of this outreach program has for the kids, parents and community surrounding FUMCR. Describe the reaction you received from these kids when the league was getting started? It’s always great seeing kids sign up for programs. Pure energy, and a little chaos. Since this is the first time we have done the program at Mark Twain, people were very curious on what the program was going to be like. We never know what the response is going to be. Registration days are almost as fun as game days. What kind of difference does a soccer program like this make for these kids, parents and adult volunteers? For a lot of these kids and parents, this is the first time the kids have been able to sign up in a league. Parents want to be able to cheer for and watch their kids run and have fun. For the kids, it is a chance to not worry about anything happening at home, and just be a kid playing a sport….it’s that simple, we think, but again, for some of these kids, it is their only experience in a league. Will you be at the BEST GAME EVER night? What will your sign say?? I will definitely be there! To me this program encompasses a large part of what FUMCR and the YMCA are all about. Two community entities partnering up to support our community. I believe strongly in the mission of the Y and the last two words of that mission statement are “for all”. My sign will simply read that. Join the FUMCR Community, Jeff and the volunteers who make this Soccer League happen as we make the games on this Friday Night, the BEST GAMES EVER! 5:45pm - Caravan over to Mark Twain Elementary for the Games!